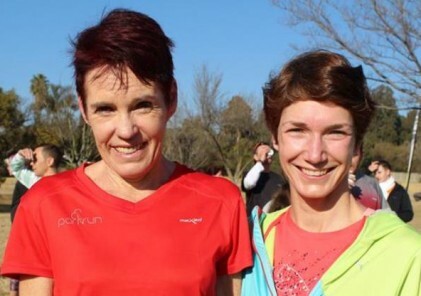 If ever proof were needed that parkrun SA is growing at an amazing rate it is that on one Saturday; this last weekend, we launched 3 new parkruns. It is not so long ago that we were starting, at most, one a month. 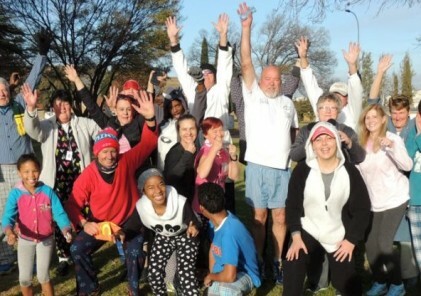 By all reports Galeshewe parkrun in the township near Kimberley enjoyed a happy start. 55 runners enjoyed the two lapper around a cemetery. There can’t be too many parkruns in the world that are run in cemeteries. Our volunteers there were delighted by the inaugural and by the number of children that participated. In Durban, Hoppy Hopkinson and his team launched Blue Lagoon parkrun near the Umgeni River estuary. This run should prove to be very popular and will help relieve the pressure on North Beach parkrun, the world’s biggest parkrun. I can’t wait to run it at the end of this month. I travelled to Clarens in the Free State for the launch of their parkrun. Clarens is a beautiful, iconic Free State village and a very popular tourist destination. My decision to run the Clarens parkrun was influenced by the fact that my Mother lives in Clarens. 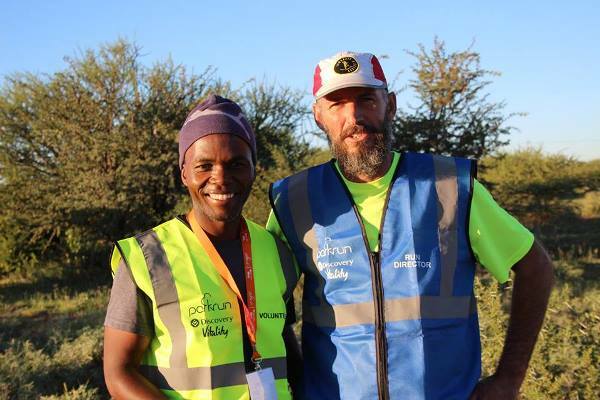 Event Director, Peet Pelser, has designed a beautiful route in the Clarens conservancy that follows a winding bush trail and then takes runners up to a lovely dam in the Drakensberg foothills. This is not a course for a personal best time and runners need to be wary of the altitude! Nevertheless this wonderfully scenic parkrun will prove be a very popular both with locals and visitors alike. It will be particularly exciting to run Clarens parkrun in the winter snow. Our rising attendance figures in Gauteng have been boosted over the years by the amazing support and assistance of the Ekurhuleni metropolitan municipality. Three years ago, Ebotse and Boksburg were our only Ekurhuleni parkruns. At the end of next month we will have an Ekurhuleni family of 16 parkruns with 6 more waiting in the wings. Tsakane wetlands parkrun in particular was actually initiated by Ekurhuleni as part of their mass participation programme. 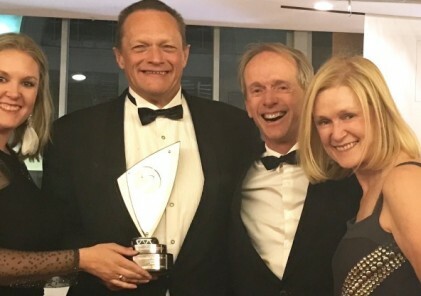 Our thanks must go particularly to Pieter Lotter, Sport and Recreation Manager of Ekurhuleni and Mathapelo Morema, the Senior Sports Organiser. All this growth would not have been possible if it were not for the selfless support of our amazing volunteers. I have written about the volunteers in other newsletters but I just wanted to remind parkrunners of the contribution the volunteers make and to boast that last Saturday we had a record of over 2,600 volunteers assisting at our parkruns. We are delighted to celebrate the overdue return to the parkrun family of Nahoon Point, Westbury and Hilton parkruns. We have missed all three, as have all three parkrun communities. Nahoon Point in particular has been sorely missed for 4 years now. I don’t have exact dates but please check the websites of each parkrun. I am certain they will all be very vocal as their return date approaches. 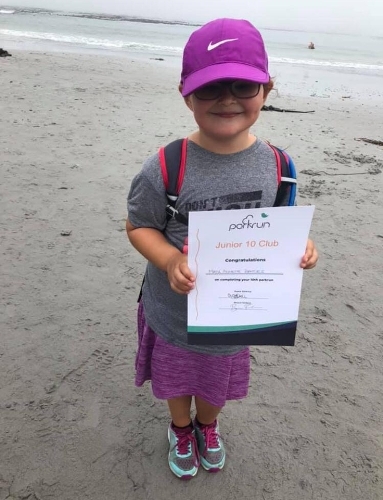 One of the most rewarding sights at a parkrun is the beaming face of a youngster being presented with a junior certificate at the start of a parkrun. It really is heart-warming to know that a youngster has run 10 parkruns and has been rewarded for that achievement in front of a group of fellow parkrunners. 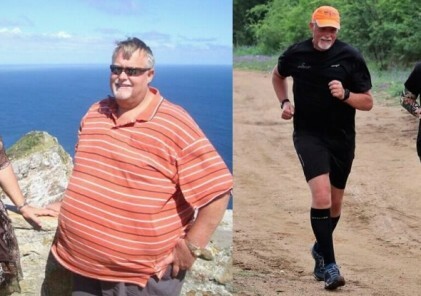 Bob Norris, parkrun regional ambassador for the Eastern Cape told us that at some schools in the Eastern Cape headmasters have taken to handing over certificates at School assemblies. Each certificate is signed by me and the Run Director. In the early days I used to sign a few every month but now, thanks to a burgeoning junior parkrun population, I have to sign dozens every week. I have taken to signing at least 10 each morning in the parkrun offices before I am allowed my first cup of coffee. Then throughout my working day I can only have a reward such as another cup of coffee after signing a few more. At one stage we considered having certificates produced with printed signatures, but we decided that I must carry on disciplining my coffee breaks. Please remember that the events which have seasonal starting times have moved their starting times to 8am for the next 6 months. If in doubt in doubt check the website of the parkrun you wish to run.